The second is shoot is Tuesday December 11, location TBC. We'll meet in Michel Delving on Saturday for the first video shoot! 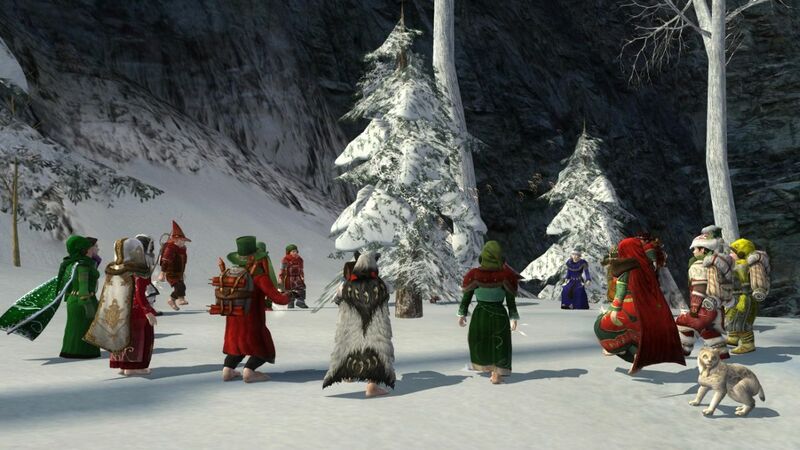 You'll all help the quick post deliver the yule mail to various parts of the Shire! Dress up festive-like, bring backpacks for the letters and be prepared to run! So bring yours along! Don't worry if you don't have one, though. I have a few on-hand, in different colours (Evendim Blue for the true quick post look, or Crimson for the festive yule feeling). Meet up a little before we start, and we can have you outfitted and proudly wearing the cap while delivering letters. Rubellita and Lina like this. Potty, Rubellita and Lina like this. It was early Yule bathtime for some!